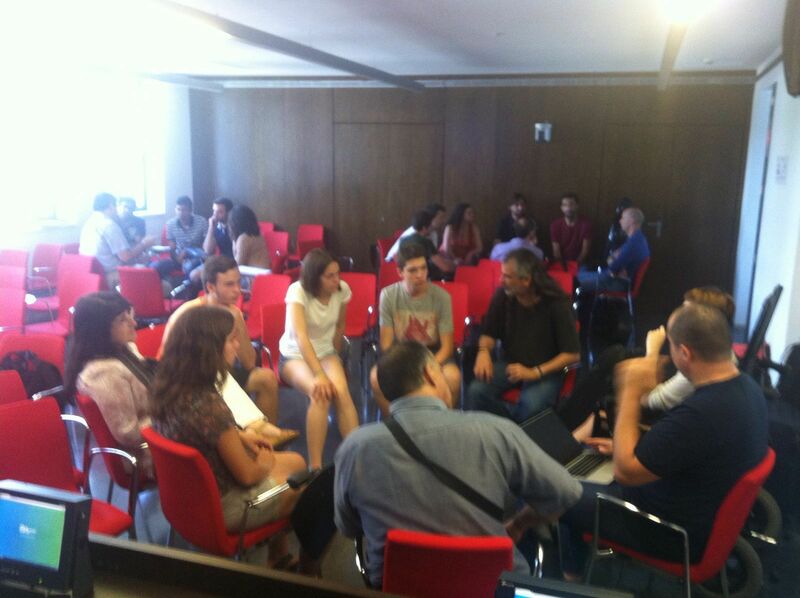 A one-day public event was organized on the 1st of July 2016 at the Universitat Pompeu Fabra in Barcelona with the objectives of disseminating the EU-funded TELMI Project and gathering feedback from users for defining the requirements and use cases of the project. During the morning the TELMI project was presented, and a workshop was organized where three groups of around ten people (including violin students and teachers and each of them lead by a member of the TELMI Consortium) discussed about the possibilities and benefits of using technology in learning to play an instrument. It was also a very useful session for identifying their real needs. In the afternoon, the Royal College of Music of London offered a video-conference on “New perspectives on performance education”. 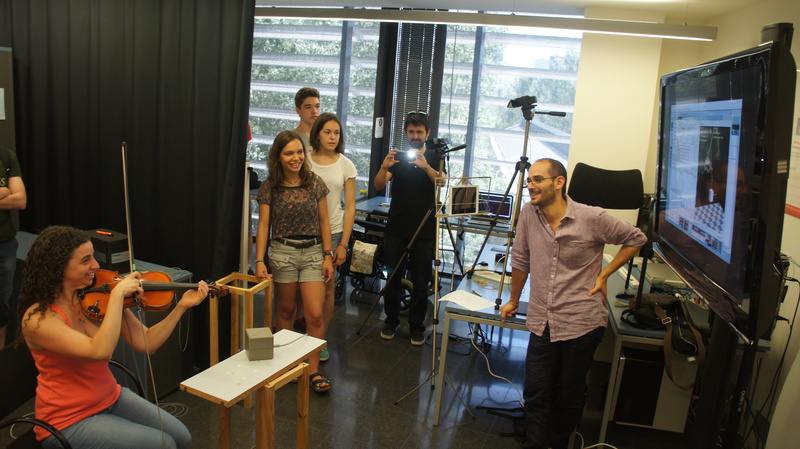 Moreover, during the event the participants could also try some of the prototypes developed so far in the TELMI Project. Finally, a violin concert by Sound Boulevard was offered for closing the event. We would like to especially acknowledge the participation of the Conservatory of Vic, the Conservatory of Sant Cugat and the ESMUC; and thank all the participants in making this event a great success.